A comprehensive guide to Chinese Exercise Therapy with over three hundred illustrations and step by step instructions outlining Qi Gong and Tai Chi techniques. 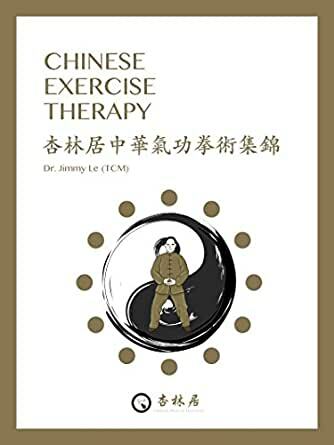 This book covers: Basic Qi Gong, Ba Duan Jin (8 Pieces of Brocade), Xing Lin Quan 10 form and the 10 & 24 Yang forms of Tai Chi; it also includes segments on lifestyle and an evidence based approach to Chinese Exercise Therapy. Suitable for beginners or practitioners looking to advance their skill set in pursuit of better health and longevity. A very well written book with informative pictures. An absolute must reference book for us in order to maintain technique when performing tai chi/qi gong. Dr Le is a wealth of knowledge and this book certainly shows it. Highly recommended!! !